The ExIm Bank has been around for decades. Its primary activity is to extend cheap loan guarantees and direct loans to foreign companies to buy U.S goods under the pretense of boosting exports and creating jobs. Don’t buy it. 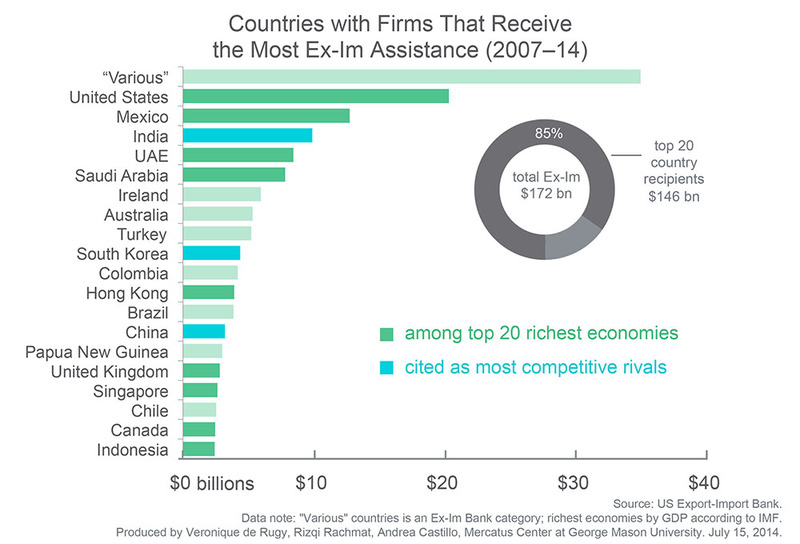 Economists have shown that these kinds of export credit subsidies will never raise the overall level of trade. The subsidies are also hurtful (PDF) since they simply redistribute wealth away from unsubsidized American firms, employees, and consumers and direct it toward a tiny number of beneficiaries. And that is where Democrats have some explaining to do: The bank’s data show that it overwhelmingly benefits some of the biggest, most politically connected firms in America. In fact, in 2013, 64 percent of the bank’s activities benefited 10 companies, such as Boeing, General Electric, and Caterpillar. And these companies’ customers aren’t poor either. For instance, the bank subsidizes wealthy foreign borrowers—like mining heiress Gina Rinehart, owner of the Ex-Im-financed Roy Hill Iron Ore Mine and Australia’s richest woman. She could easily find private capital without government privileges. It also subsidizes numerous state-owned companies in wealthy countries like Saudi Arabia and fast-growing airlines (PDF) like Lion Air and Air Emirates. 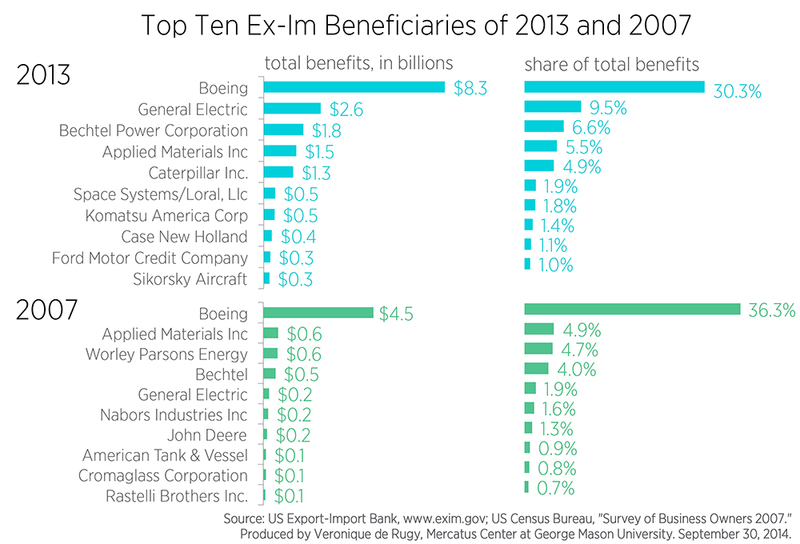 Conservatives have been gunning for the Ex-Im bank for a long time. The problem is, eliminating it would be stupid because it actually makes money for the taxpayer!